A longtime favorite local hangout for burgers and brews, Bob's Classic in Wenatchee gave the East Wenatchee (east of the river) residents what it needed....a cool place to eat when you want to stay closer to home. Only a few weeks old, Bob's Classic East Wenatchee is like an old friend welcoming you with friendly staff and a warm atmosphere. The scene is classic car garage meets industrial cool with a touch of Hollywood nostalgia. This new location has approximately 100 more seats than Bob's Classic in Wenatchee. 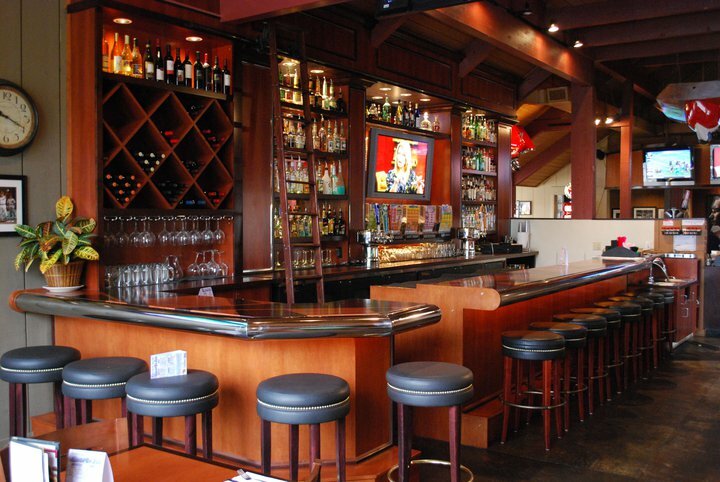 The bar is spacious, open, bright and fun! Plenty of seating during the happy hour rush. When it's not 150 degrees outside, the glass garage door slides up to expand seating onto the patio. If you want a cozy family dinner the restaurant side is intimate and comfortable and separated from the bustling bar scene. Same menu as Wenatchee location with classic burgers, fries, prime rib and popular Wednesday night Taco Night. Plenty of American faire on the menu to choose from. Maybe we'll see some new Bob's Classic with a twist on apps and entrees in the near future. After all new restaurants are a perfect way to introduce some fresh new ideas on the menu. RECOMMEND: Meet your friends and watch the game on one of their 15 big screens. CHECK OUT BOB'S CLASSIC (WENATCHEE). Just as good, just as cool.